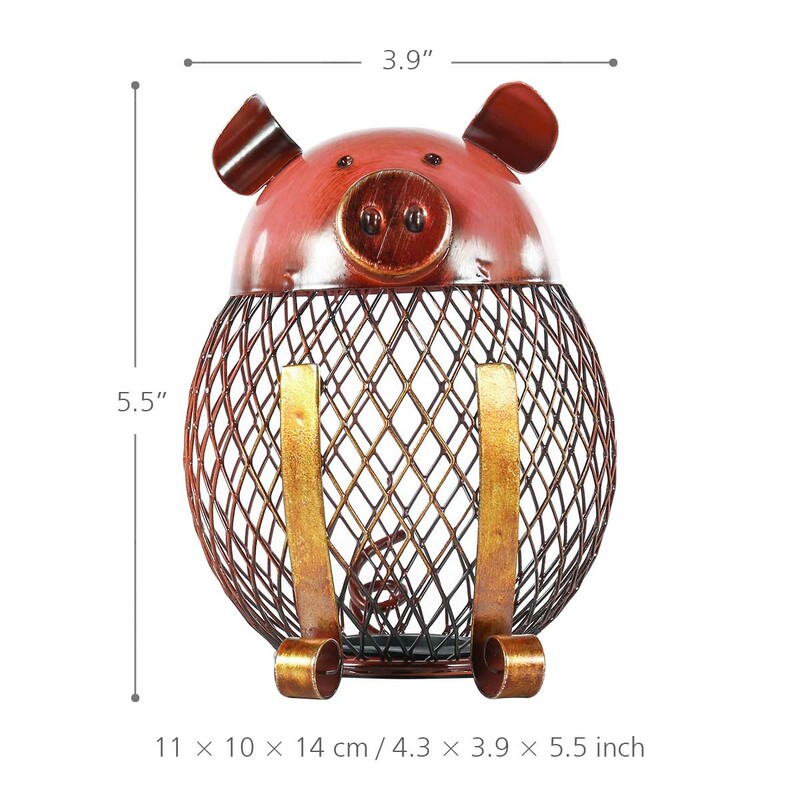 This is a lovely piggy bank. A perfect size to put on your desk, a cute decorative piece and coin device. 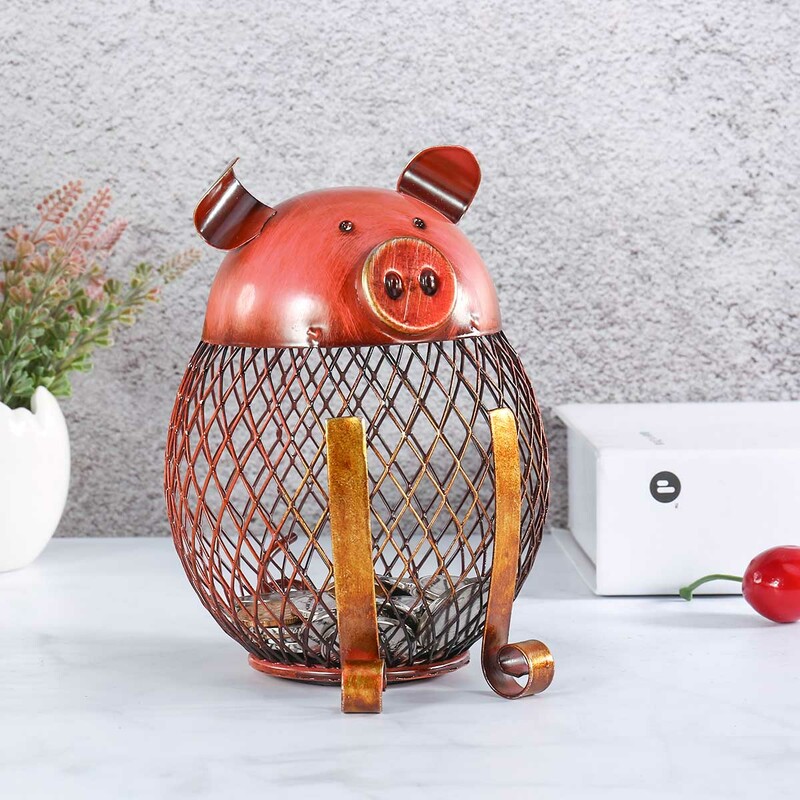 Its cute design encourages and makes young people want to start saving money and feed the little piggy. 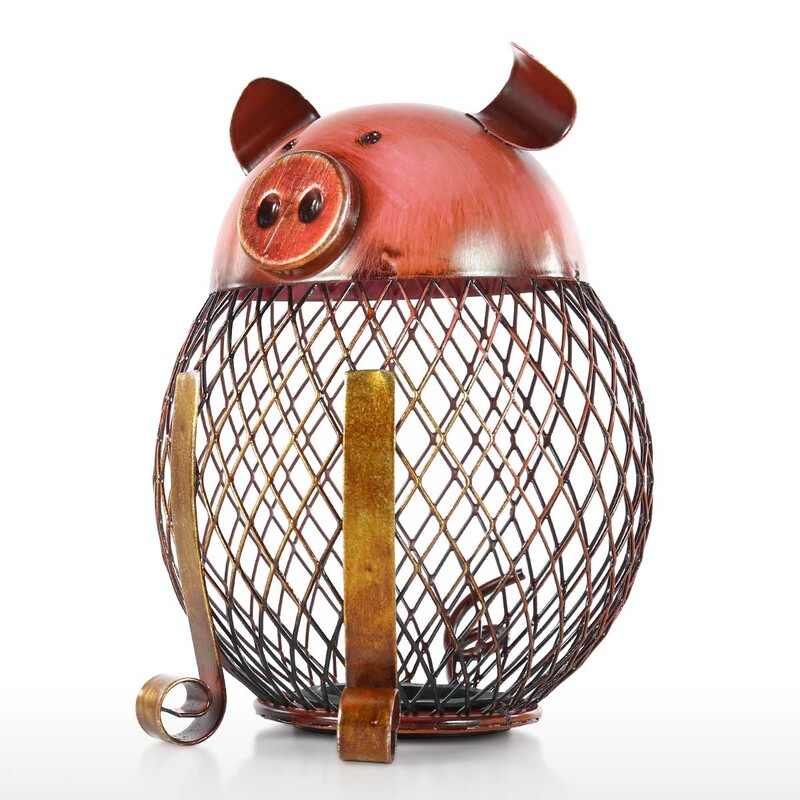 The piggy bank is a delicate artwork handmade and welded by professional craftsman. 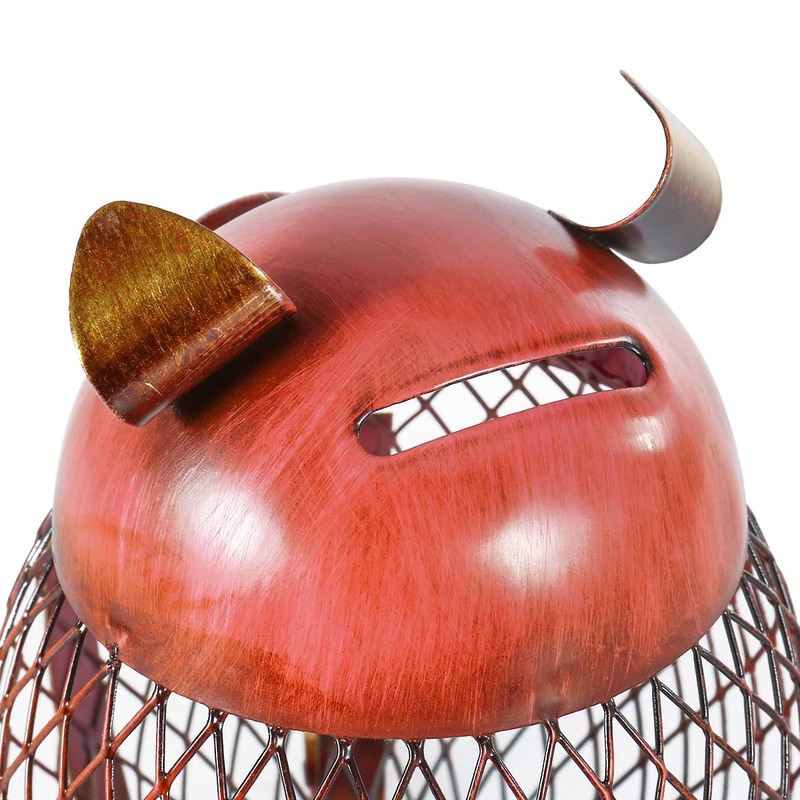 High-quality baking paint is applied on the surface, paint won't fade nor peel off. 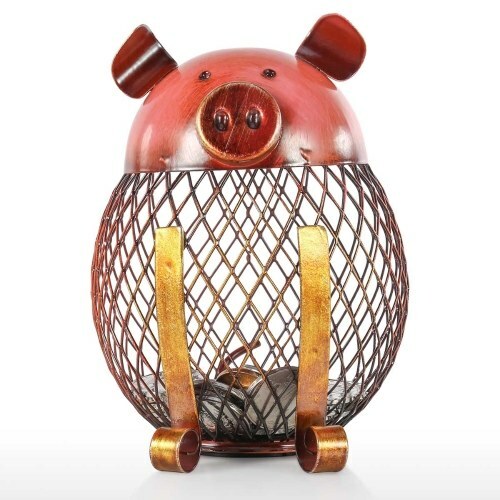 A perfect ornament for home decoration, dinning table or a gift to the loved ones. Enlightens every daily life. 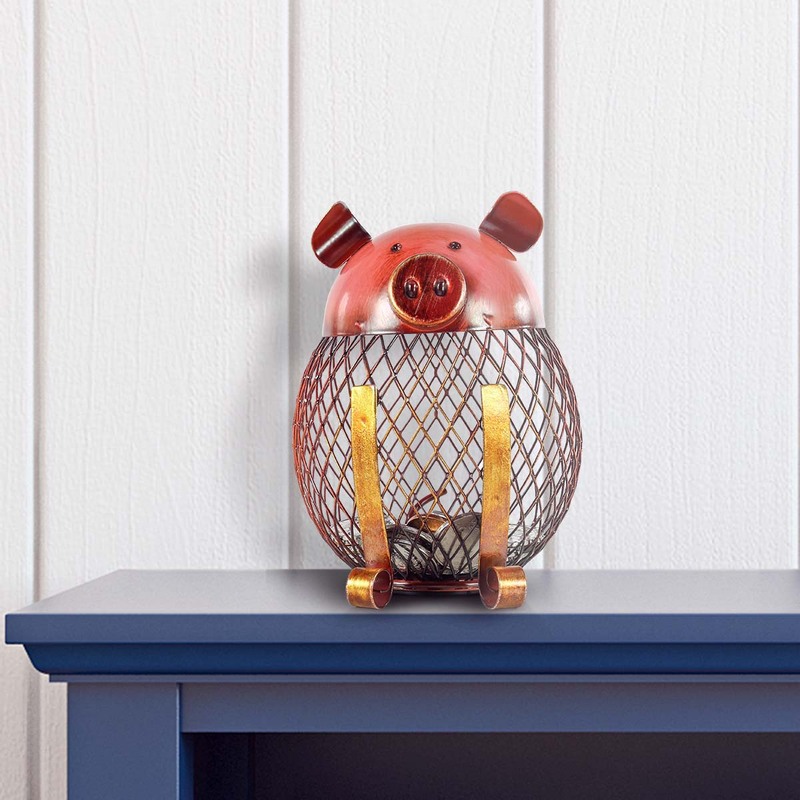 Mini piggy bank: A perfect size to put on your desk, a cute decorative piece and coin device. 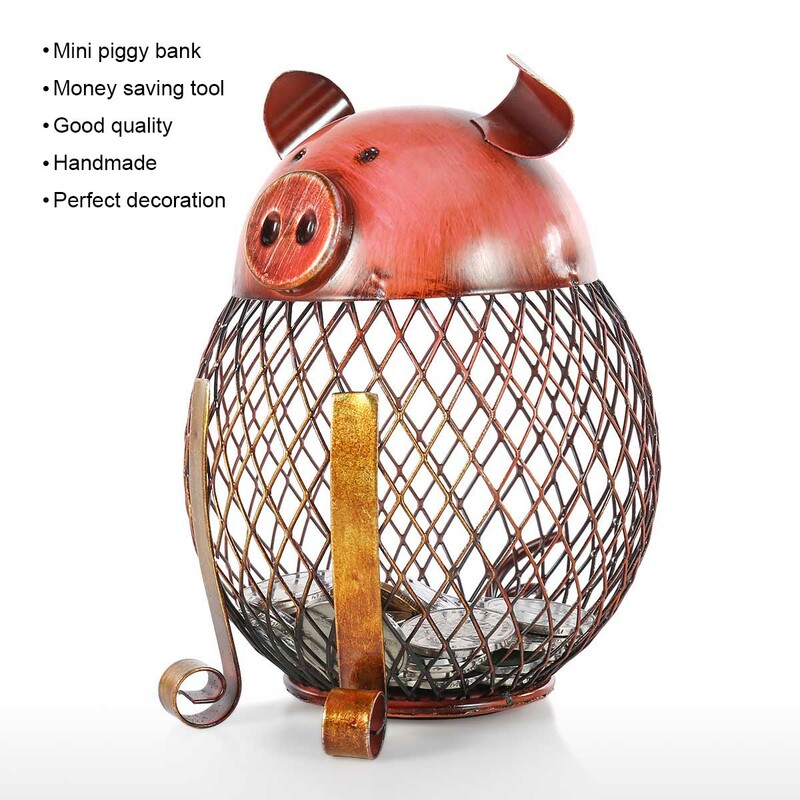 Money saving tool: Its cute design encourages and makes young people want to start saving money and feed the little piggy. 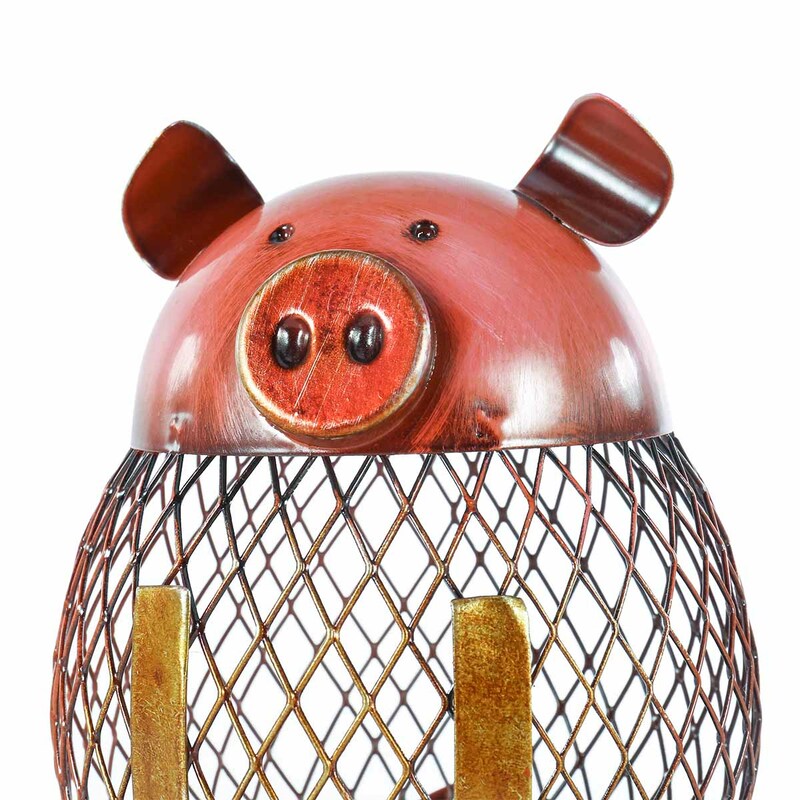 Handmade: The piggy bank is a delicate artwork handmade and welded by professional craftsman. 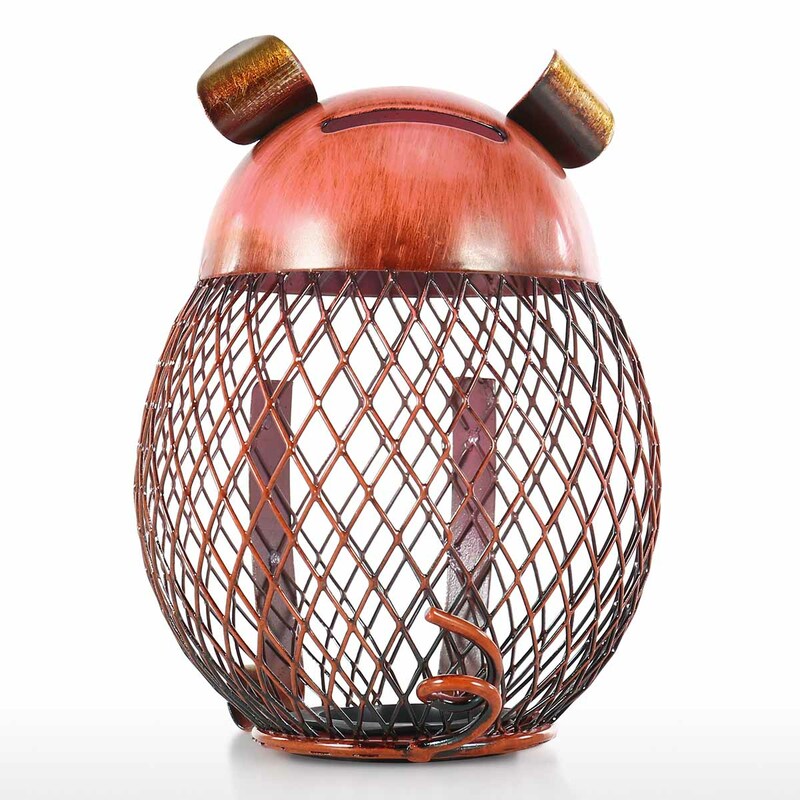 Good quality:High-quality baking paint is applied on the surface, paint won't fade nor peel off. 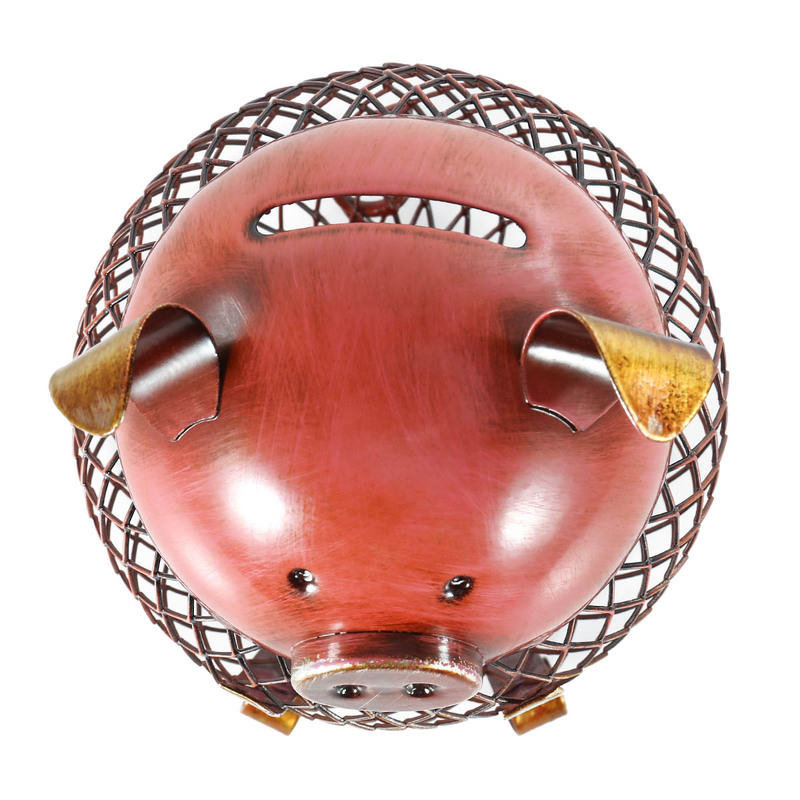 Perfect decoration: A perfect ornament for home decoration, dinning table or a gift to the loved ones. 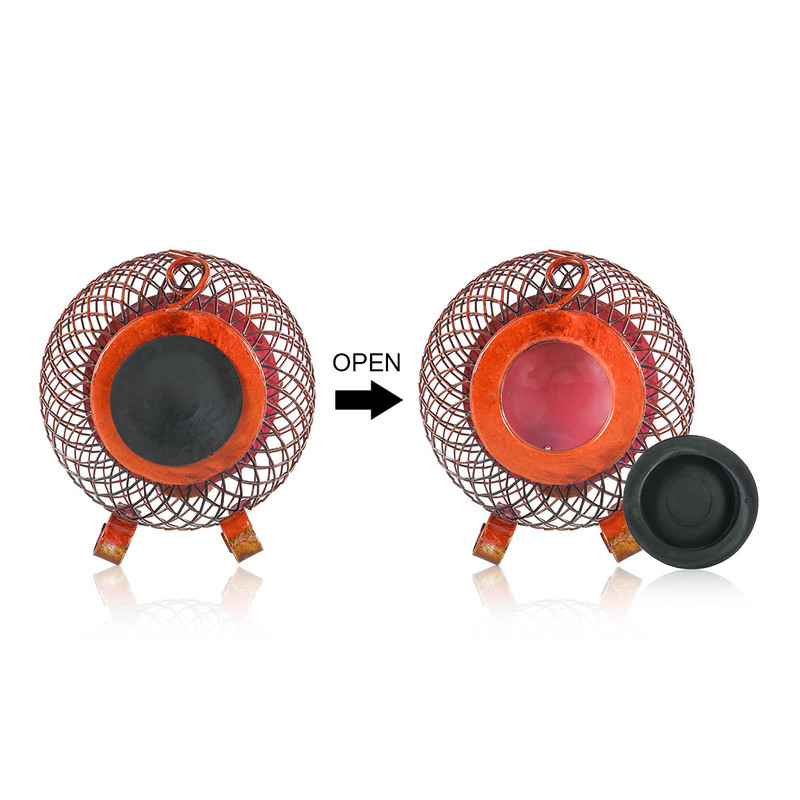 Enlightens every daily life.